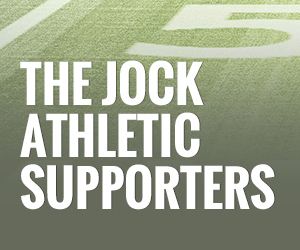 Media Consultant | The Jock! LM Communications in West Virginia is searching for an exceptional candidate to sell radio advertising, manage client relationships and drive the future of local media sales. LM Communications West Virginia cluster is home to 6 stations with demographic strength and mass sports appeal. We are searching for an outstanding seller to help us maximize our combination of ratings strength, personalities, sports and digital platforms. Our ideal candidate will be a strong prospector, love to cold call, skilled at building rapport with the decision-maker, good at uncovering the clients’ needs and have the ability to close the deal! Our sales cycle is short and the products are straightforward so potential candidates will need to use their creativity and solid communication skills to grab the client’s attention. Candidate should be confident and possess the drive to succeed. You must be able to thrive in a fast paced and competitive environment and be motivated by money. Sales experience is required, media sales experience is preferred. Knowledge of Microsoft office applications is necessary as is a valid driver’s license and reliable transportation. LM Communications at 100 Kanawha Terrace, St. Albans, WV 25177 or email to jill@wklc.com.Type your paragraph here. This station does not discriminate on the basis of race or ethnicity in its advertising agreements, and requires each party to such station advertising agreements to certify to this effect in its execution and performance of the agreement.